Australian food manufacturing and distribution industries have experienced excellent growth over the last few years. The one key economic metric that has stalled is affecting companies in the market directly, though. Capital investments dropped off 14.2 per cent, or $2.7 billion, between 2014 and 2015, according to the latest data collected by the Australian Food and Grocery Council's (AFGC) State of the Industry 2016 reported. A stall in capital investment is pushing companies to become innovative. Needless to say, this drop in venture capitalism can cripple small and medium-sized businesses, rendering them unable to contend in an incredibly competitive industry. Organisations that take a hard-lined stance on innovative managerial and logistical tactics, though, can find the profit margins they need to appeal to investors. It's sometimes easier to understand the larger issue in play through a microcosm. For this we can look to the recent public outcry over unsafe labelling methods. There's been a growing problem of consumers not being able to correctly identify allergens on packaged goods due to improper or non-existent labelling. Case in point: Nearly 30 per cent of foods on shelves had been cleared as safe to consume after undergoing contamination testing, but food manufacturing companies still had yet to assign a stamp of approval, according to a study conducted by the Murdoch Childrens Research Institute. There are a bevy of reasons spurning this issue. One that's becoming clear is the hurdle for growing companies to keep up with demand and regulations without the help of small business management software. The industry is calling for more high-tech innovation, and the organisations that fail to meet the plea are contributing most towards the stalled capital investments. Solutions to the labelling issue are being premiered at foodpro 2017 in July, according to FoodProcessing.com. This serves as a sign that many businesses are taking the public outcry seriously. What has yet to be seen is if companies can offset the slowed venture capitalism, combined with currently unfavourable tax cuts for the industry, by developing innovative methods to raise profit margins. 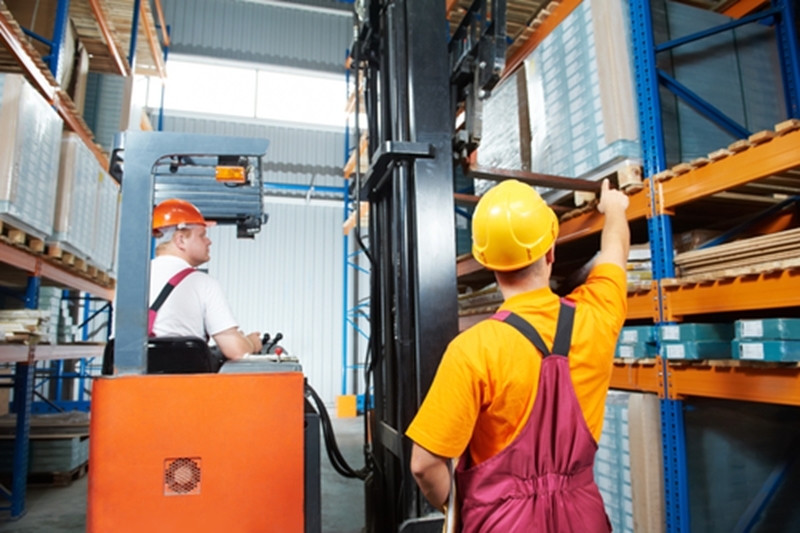 Food production companies need more efficient warehousing methods. The search for supplemental revenue normally starts with identifying inefficient workplace methods. Not only do traditional techniques of managing stock, bookkeeping or maintaining high volumes of deliveries slow the business down, but it's part of what's putting venture capital firms off the market in the first place. "Stimulating investment is critical," Gary Dawson, AFGC CEO, said. "We are now in danger of drifting into a low investment trap, where uncertainty about return on investment flowing from retail price deflation and sluggish growth is seeing investment decisions deferred or dumped." Companies need to identify inefficient workplace methods to boost margins. Food manufacturing and distribution companies can't stop market deflation at the retail end, but they can promote change from within that will help ease the burden of falling profit margins. By integrating business management software, the smaller organisations can gain a leg up on the larger ones that are cornering the market. Take the labelling issue for example. Ultimately, this method of intricate identification can create extra work on the warehouse floor, which extends delivery times and can even result in the wrong orders going out. By investing in structured stock software, these businesses can improve their time-to-market and ensure error-free accuracy. Of course, with the industry trending towards complete digitisation of the back office logistics, having software that allows you to add optional modules as you need is key. Otherwise, businesses will be using multiple systems that don't speak to each other, meaning data can be lost or management can quickly get a headache. Companies will need to be able to run their bookkeeping through stock orders, which creates the need for it all to be integrated. It's time for innovative companies to gain control of the market. Talk to an ABM representative today to find out more.